What is a Managed Service Provider? I explain what an MSP is and the four key things that differentiate an MSP from traditional IT support business. Looking at how embracing digitisation can help an SMB business grow – helping to reduce costs and win more customers. Is Your “Customer Service” About Your Customer Or Is It About You? Is Your “Customer Service” About Your Customer Or Is It About You? Taking a look at a recent experience of “Customer Service” with Swinton Insurance. Why you need to build metrics around your MSP’s Service Desk now! Why you need to build metrics around your MSP’s Service Desk now! How doing so could save you time and money down the line when you consider hiring staff. What are the MSP Metrics That Matter? In An Interview with Eric Dosal, we discuss the KPI’s that are of importance to MSP’s who want to grow their business. A free eBook from Autotask – Metrics That Matter: An Intelligent Approach for IT Service Providers – allowing you to benchmark your MSP against your peers. The Future of IT Solution Providers will see a focus on consulting and Service Intelligence. Here are details of a free Whitepaper and Webinar to help. 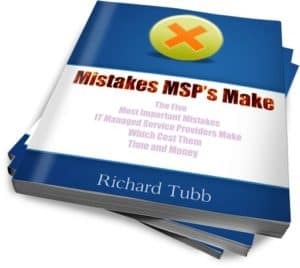 Details of my new free eBook – Mistakes MSP’s Make: The Five Most Important Mistakes IT Managed Service Providers Make Which Cost Them Time and Money. How can you retain your MSP customers? Winning new customers is important, but retaining existing customers is too. I ask the question of 3 MSP businesses – How can you retain your MSP customers? Your MSP contract – what is in … and what is not? Your MSP contract – what is in … and what is not? As an MSP offering flat-fee contracts, how do you decide what to include and what to exclude?